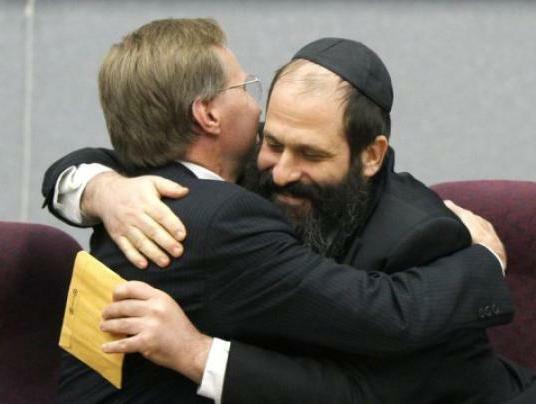 Sholom Rubaskin learns that he will be released from his sentence of 27 years. On location discussion with guests including, Gary Apfel who was the pro-bono lawyer fighting for the release of Sholom Rubaskin. Backstory: The U.S. Supreme Court refused to hear an appeal from that ruling on October 1, 2012. On December 20, 2017 citing the large bipartisan push for the measure, President Trump commuted the prison sentence of Sholom Rubashkin, after 8 years served. 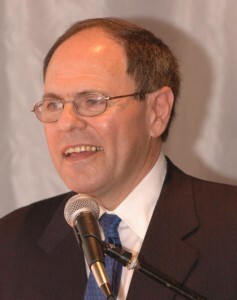 Dani Dayan, Consul General of Israel in New York. 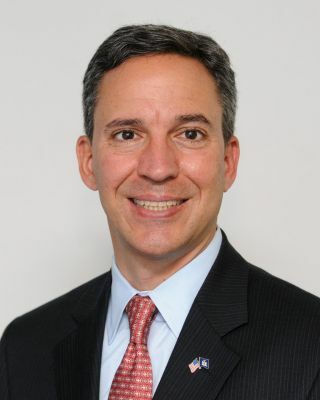 Ambassador Danny Dayon is Consul General of Israel in New York. Discussion pertaining to the reasoning behind the natural move of the embassy from Tel Aviv to Jerusalem. Chanukah 2017 at the White House. 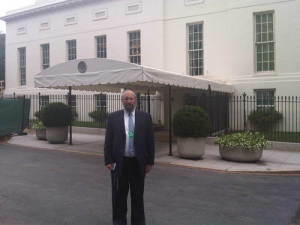 Host Leon Goldenberg Attends the White House Chanukah Party. 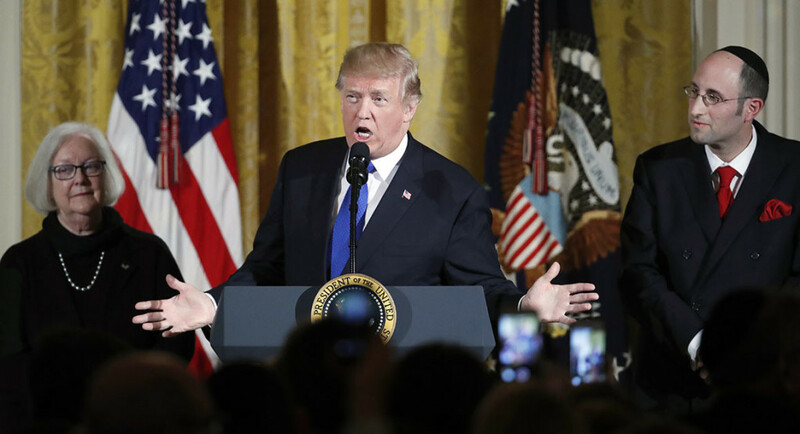 This event happened right after President Trump announced that he supported Jerusalem as the capital of Israel. Guests include many congress members and political figures. Discussion in regards to Trump’s announcement about Jerusalem and his recent declaration’s: (1) Jerusalem being recognized as capital of Israel (2) Embassy to be moved to Israel. 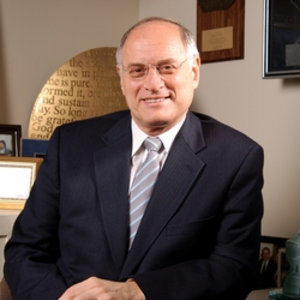 Guest Malcolm I. Hoenlein, is the Executive Vice Chairman of the Conference of Presidents of Major American Jewish Organizations, the coordinating body on international and national concerns for 52 national Jewish organizations. 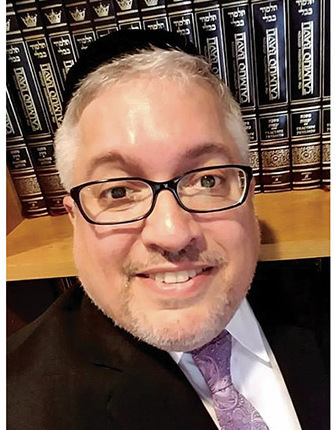 Previously, he served as the founding Executive Director of the Jewish Community Relations Council of Greater New York, the central coordinating agency for Jewish organizations in the metropolitan New York area. Prior to that, he was the founding Executive Director of the Greater New York Conference on Soviet Jewry. Leon travels to a dinner presented by the Egyptian Embassy in Washington, DC. Discussion pertains to Anwar Sadat, the former President of Egypt. 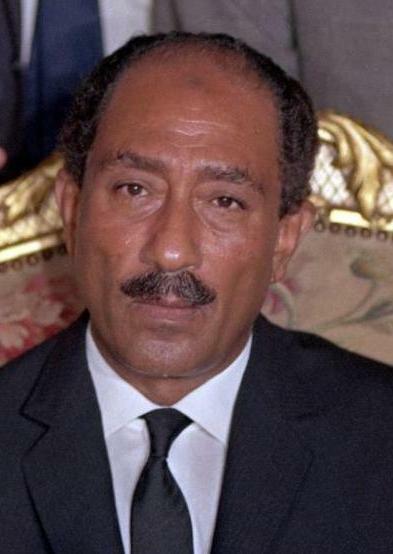 Sadat was assassinated during the annual victory parade held in Cairo to celebrate Operation Badr on October 6, 1981. The show welcomes guest, Mrs. Sadat (widow of Anwar Sadat). Mrs Sadat spoke with Leon about how thrilled she is that her husband is up to receive the Congressional Medal of Honor. Leon also spoke with both Anwar Sadat’s children; son Gamal Sadat and daughter. This week, Leon also welcomed guest Chava Blau to discuss her experience while accompanying Leon to the grand dinner at the Egyptian embassy. Chava is Leon’s granddaughter and previously presented a compelling speech to Governor Cuomo (New York), regarding funding to the Yeishivas. Alan Dershowitz joins the show this week to discuss topics including the Kurds and the referendum on September 25, 2017. Thoughts, ideas and reasoning for the Kurds desire to have their own country. Comparisons are given between the Kurds and other groups of people seeking their own country. Alan Dershowitz became a famed attorney and Ivy League scholar known for his emphasis on civil liberties. A prolific author, he also became involved in some of the most highly publicized trials of his time. Leon travels to Washington D.C and speaks with members of the Senate and the House of Representatives. The discussion is regarding the Kurds efforts against ISIS and their request for the USA to help them set up a homeland for them. 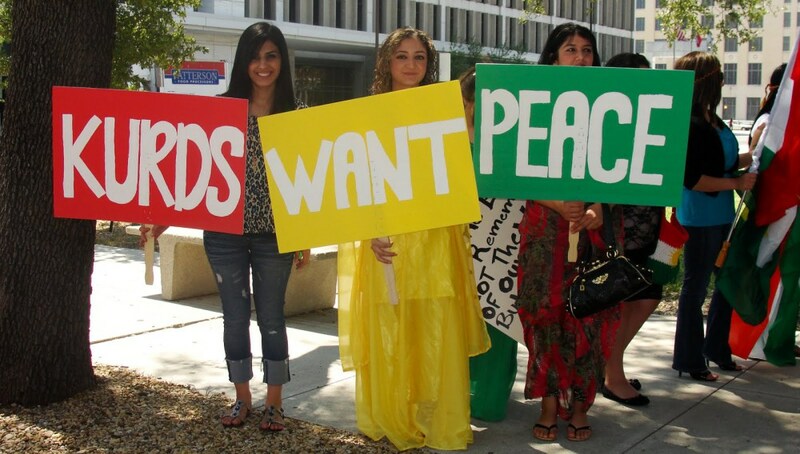 Peaceful demonstration in support of the Kurds request for an independent homeland. Leon also welcomes guest Diliman Abdulkader who is an NRT English columnist and master’s degree student at American University’s School of International Service in Washington, DC. 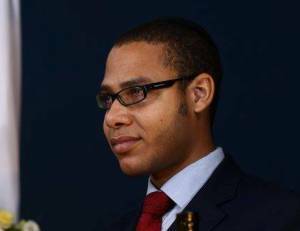 He is also a research fellow at the Endowment for Middle East Truth (EMET). Follow him on Twitter; @D_abdulkader. Post Election coverage. Guest host community advocate Chaskel Bennett join’s this week’s show. 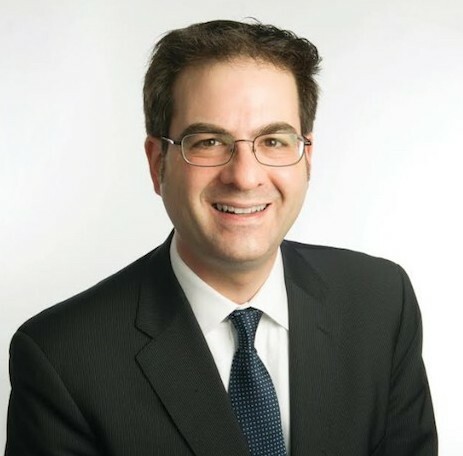 Guest 1: Kalman Yeger, who was elected to his first term of City Council in District 44. Guest 2: Chaim Deutsch who was just elected to his second term of City Council in District 48. 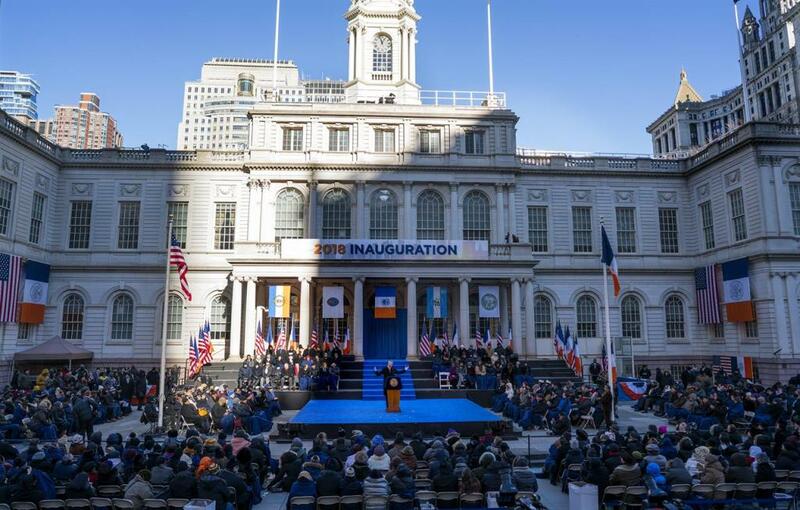 The 2018 Inauguration outside of City Hall in New York City, New York (Jan. 1, 2018). Pre-Election coverage. Guests include NYC Mayor Bill De Blasio; Public Advocate for the City of New York, Letitia James; New York City, Comptroller Scott Stringer and Current Council Member of the 44th District, David Greenfield. 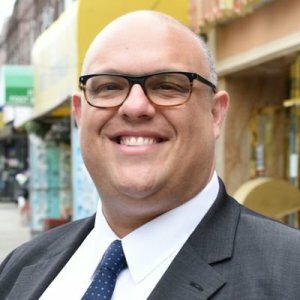 New York City Council Candidate Justin Brannan (Democrat) returns to the show to speak about the important race happening in Brooklyn’s District 43. We will also hear from John Quaglione, who is the Republican candidate vying for the seat. 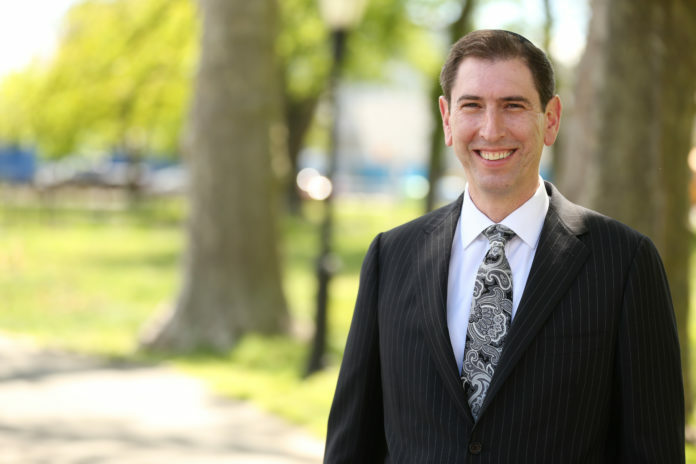 This week’s guests include the Candidates for New York City Council’s District 44 race: Yoni Hikind (Our Neighborhood) and Kalman Yeger (Democrat). Guest 1: Yoni Hikind describes his candidate stand point on what matters to the people in the 44th District. He then speaking in detail about “Smart City” Initiative to eliminate alternate side parking, as needed. 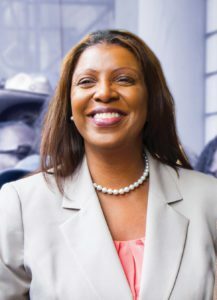 His plan received praise from Public Advocate for the City of New York, Letitia James. Guest 2: Kalman Yeger, discussed his plans, insights into the community and relevant experience. He is Senior Advisor to New York City Councilman David Greenfield. He discusses various items he has worked on in this role with David Greenfield. He is also the former advisor to former Council Member Lew Fidler. 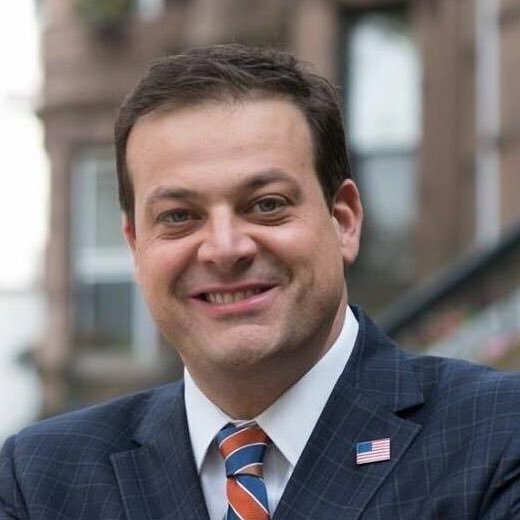 Candidate for Nassau County Executive and former State Senator (SD-7), Jack Martins, joins this weeks show. Mr. Martins is also the former Mayor of Mineola, NY. Martins is seeking the office that has been held by Nassau County Executive Ed Mangano since January 1, 2010. The winner will be decided on a November 7th, 2017 election. 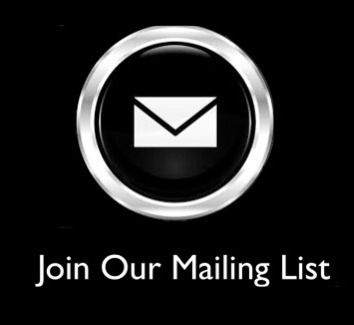 * Click here to visit his official campaign website. This week Community Matters with Leon Goldenberg presents The Anwar Sadat Congressional Gold Medal Award Luncheon, Part 2. 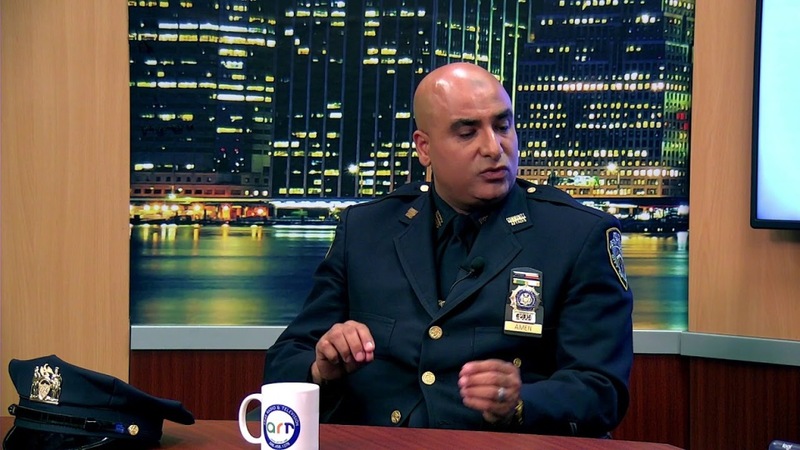 Guests include Detective Mohamed Amen who is a the NYPD’s Arab Muslim Liaison and GIL KAPEN, who is Special Advisor American Jewish International Relations Institute. This week’s guest is Ezra Friedlander. He discusses the Anwar Sadat Centennial Celebration Act and how to bring important topics to be voted on in Congress. He notes how Israel has always made strides for peace but is portrayed as less than eager to achieve it. He explains how today the war for peace in Israel is more focused on “real estate”. 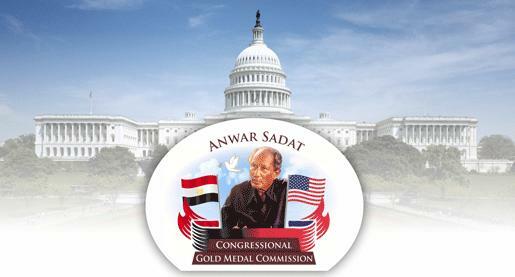 Audience Members are Encouraged to Call their Senator and House Representative and ask them to VOTE FOR the Anwar Sadat Centennial Celebration Act. Donald Rumsfeld is this week’s second guest this week. He discusses his work in serving this country in a variety of offices. He was both the oldest and youngest member. 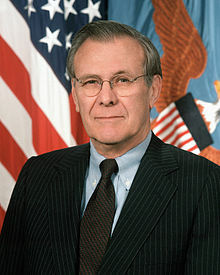 Rumsfeld served as the 21st Secretary of Defense from January 2001 to December 2006. Before assuming this post, the former Navy pilot had also served as the 13th Secretary of Defense, White House Chief of Staff, U.S. Ambassador to NATO, U.S. Congressman and chief executive officer of two Fortune 500 companies. 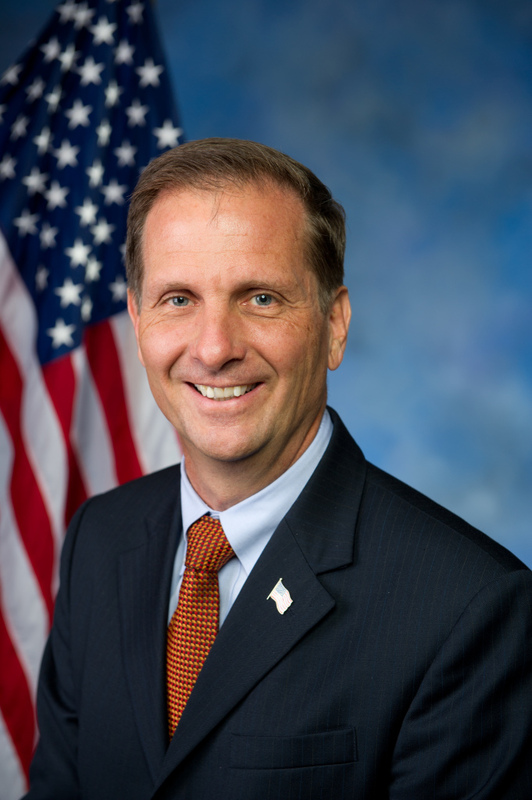 Congressman Chris Stewart of Utah, speaking on behalf of why he is a lead sponsor of the Anwar Sadat Centennial Celebration Act. 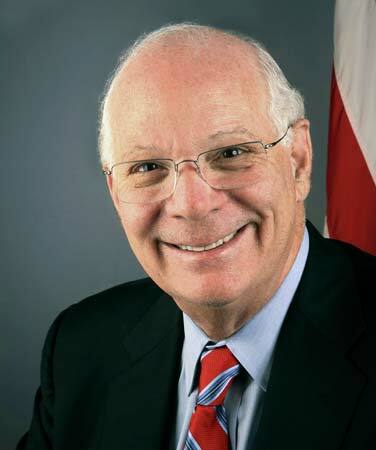 Senator Ben Cardin of Maryland speaks on why he feels it is so important to honor Anwar Sadat. Guest Josh Pruzansky, joins the show to discuss his new position as the Senior Director of Institutional Advancement of Shalom Torah Centers (STC). The school has over 150 kids, and serves from Nursery – 8th grade. The school helped to established established orthodox communities in the area. Shalom Torah Cneter has sister organizations including Torah Links and Shalom Heritage, which is a Sunday school type program that helps with the kids in the area. Each Sunday program has over 150 kids. It is noted that Feliz Ortiz lost to Carlos Menchaca. It is likely the Jewish voter block voted against him because of his support of BDS and “walls”. 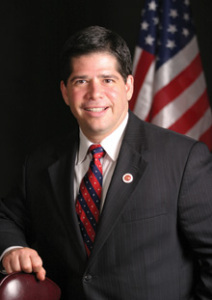 The next guest on the show is Felix Ortiz, Assistant Speaker of the NYS Assembly. He is popular politician who is known for many portions of his work. He is notably known for introducing a piece of legislation [which passed] to prohibit people from holding cell phone in the car. 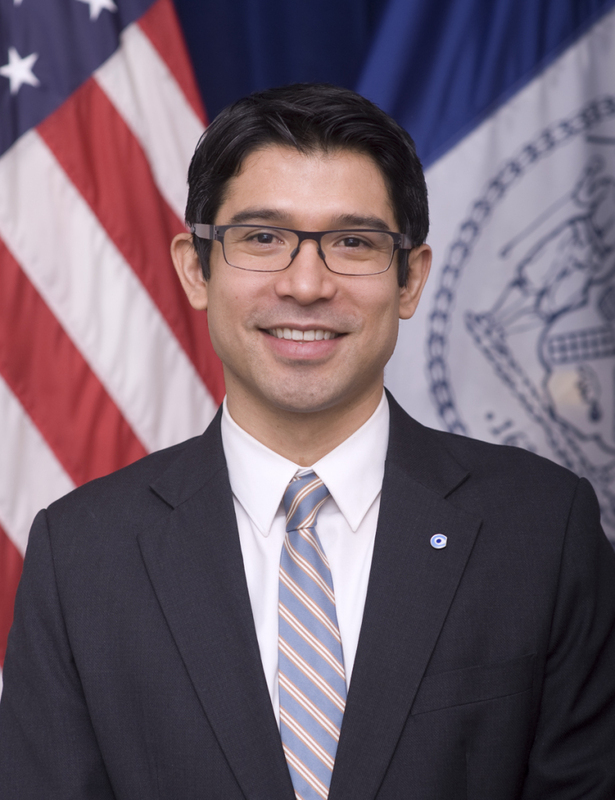 The nights third guest is New York City Council member Vincent Gentile (District 43). He discusses his run to become the next District Attorney of Brooklyn. He seeks office to (1) make low-level first offenses civil, not criminal, (2) Expand Community Based Sanctions, (3) Tough on Guns and stronger prosecution of gun traffickers, (4) Reorganize the Elder Abuse Unit and (5) Create Elder Fraud Abuse Outreach campaign and more. City Council member Laurie Cumbo (District 35). Her district includes Crown Heights. During her segment, she references the varying cultures in her district. She mentions the Shalom Center (located in her district) that includes all types of people. 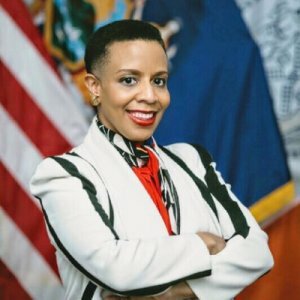 Discussion also pertain to how she recently worked to get 2 Million in Capital funding to expand the Jewish Museum, located on Eastern Parkway and Kingston Avenue. 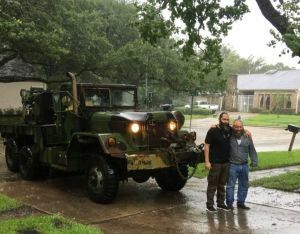 A variety of guests reporting on the Jewish response to Hurricane Harvey in Houston, Texas. Guests including Rabbi Bender, Rabbi Moshe Friedman (Director of Kollel of Houston) and more. 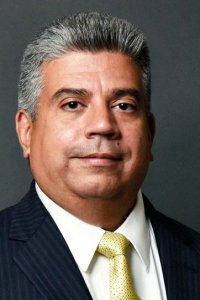 Eric Gonzalez (@BrooklynDA) joins the show this week to speak about his role as Brooklyn’s Acting District Attorney. 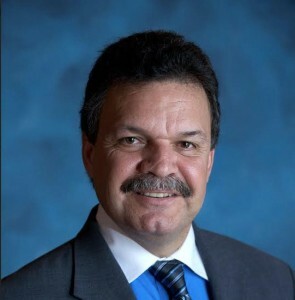 Mr. Gonzalez has 22 years of experience and worked with the late District Attorney, Ken Thompson. 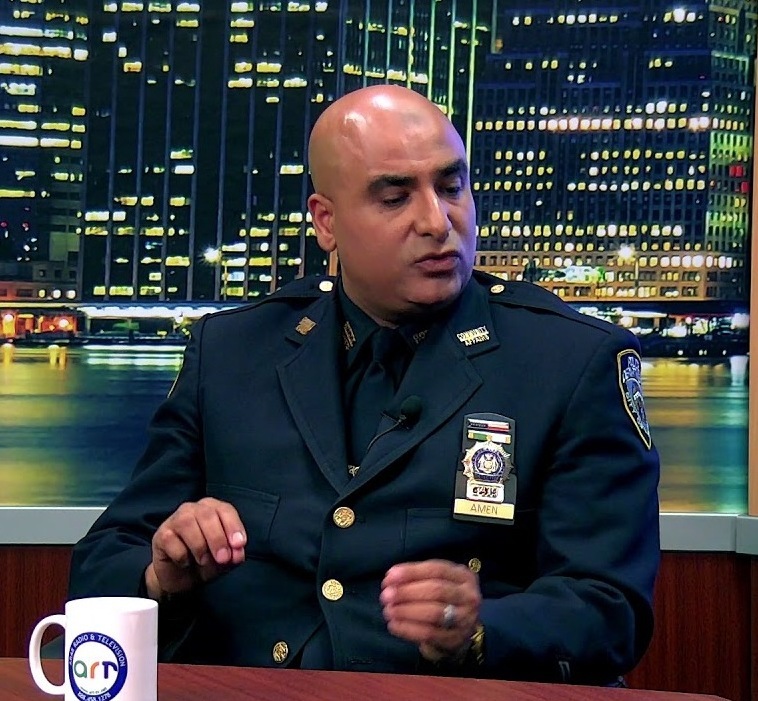 He discusses the Conviction Review Unit of which has found 23 people of whom were wrongfully convicted of crimes in Brooklyn, over the past 20 – 30 years. Discussion continues to quality of life related crimes in the Jewish community. 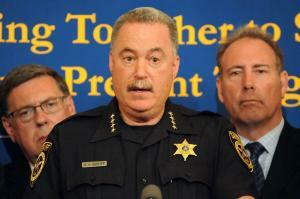 This week’s show features Sheriff Mike Schiff of Sullivan County, New York. Discussion begins with insight on how the election of Sheriff in Sullivan County effects the [regional] Jewish community. The rate of growth and fluctuation of summer residents provide a informative look at how demographics are changing. Sheriff Schiff shares his predictions for the future of Sullivan County. Guest Dr. Eric Mandel joins the show this week to discuss many topics regarding Israel, which include the Israel Anti-Boycott Act. Dr. Eric Mandel is the founder and Director of MEPIN™, the Middle East Political and Information Network™. MEPIN is a private Middle East research analysis read by members of Congress, their foreign policy advisors, members of the Knesset, journalists, and organizational leaders. Dr. Mandel regularly briefs members of Congress and their staffs about the current geo-political situation in the Middle East, and meets with members of the Israeli leadership and their advisors. He is the Northeast Co-Chair of StandWithUs, an international organization dedicated to educating the public about Israel, while fighting the BDS movement (Boycott, Divest and Sanction) against Israel. Discussion continues to discuss the economy and job growth. 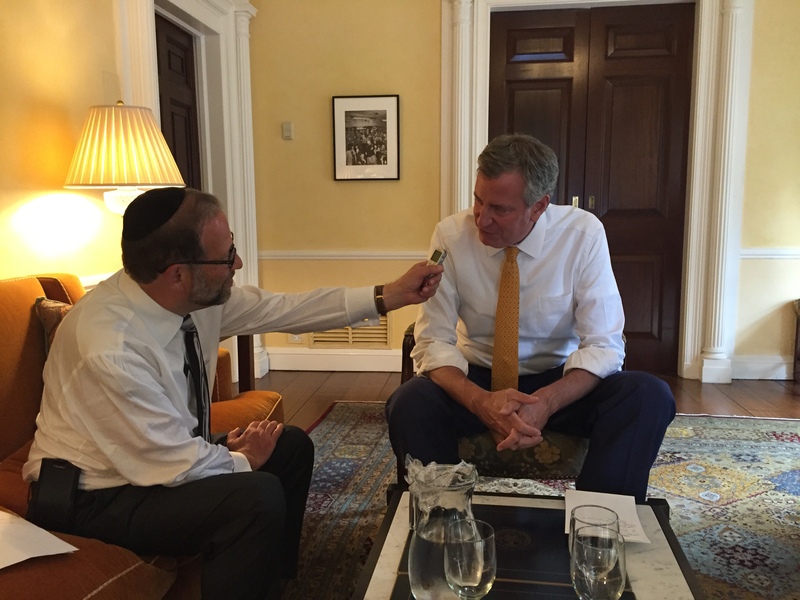 Host Leon Goldenberg congratulates Mayor DeBlasio on the continuously improving crime statistics, etc. [Guest 2]: Community Leader Chaskel Bennett calls out New York Senator Gillibrand for removing her support on Anti-BDS legislation. This week’s discussion pertains to recent happenings at the Temple Mount in Jerusalem, Israel. Esteemed guest Herb Keinon [@HerbKeinon] is an American-born Israeli journalist and columnist for The Jerusalem Post. He has also authored books including his most recent work “French Fries in Pita” (2017). Additionally, he is a prominent speaker. NYC Councilman Chaim Deutsch (District 48) is the guest on this week’s show. Discussion regarding how the popular councilman is improving the quality of life in Council District 48. Guest Rabbi Avi Shafran, Spokesperson and Media Liaison for Agudath Israel of America. Discussion pertains to the crisis at the Kotel in Israel. Guests Rabbi Benzion Twerski, Ph.D. & Ezra Friedlander, Founder & CEO of The Friedlander Group. Discussion pertaining to the recent arrests in Lakewood, New Jersey. 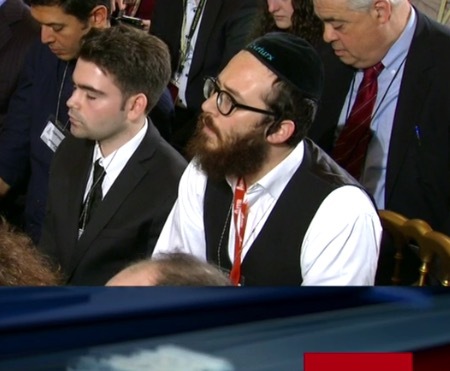 Discussion regarding the Op-Ed that Ezra Friendlander wrote to counter the negative position being portrayed by the media of the Jewish Community in Lakewood, New Jersey. Guest Ben Cohen, NY Based writer who is the Senior Correspondent for the Algemeiner. He is a commentator for the Wall Street Journal, Haaretz, and other publications. Discussion on the recent murder of Dr. Sarah Halimi, a Jewish woman in France. The French media’s deliberate neglect to cover the topic, until after their elections were held. Variations of how crimes are judged by the French court system and what the outcomes for the terrorist could be. 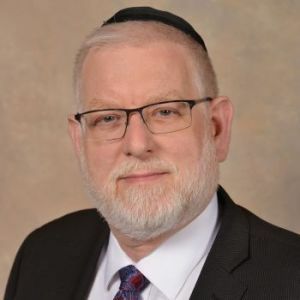 Guest Rabbi Pesach Lerner, D.Adm., is the founder and director of THE YIEP, YESHIVA INITIATIVES EDUCATIONAL PROGRAMS, in association with Bellevue University of Bellevue-Omaha, Nebraska. Rabbi Lerner is the Executive Vice-President Emeritus of the National Council of Young Israel (NCYI), where he served for 25 years, and is co-chairman of the American Friends of the International Young Israel movement, Israel region. 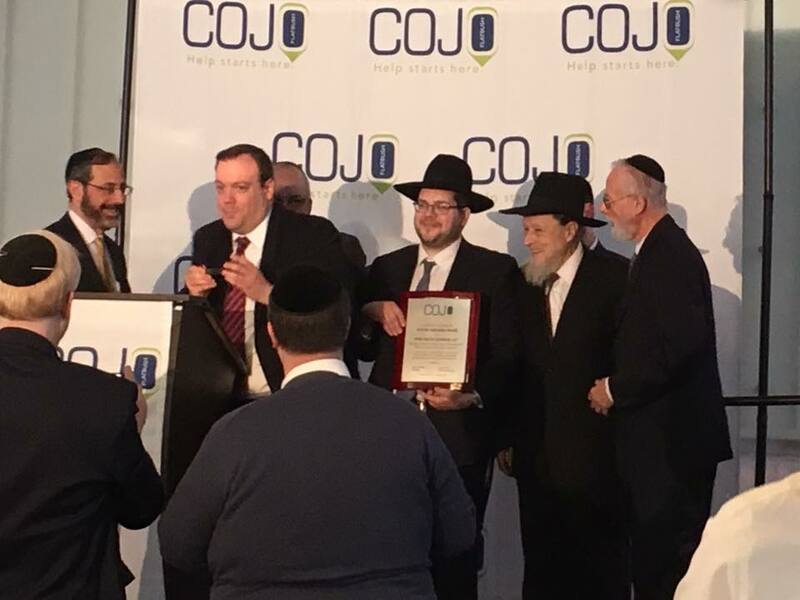 Rabbi Lerner created the Rabbinic Training Program and the Certificate Program in Not For Profit Management, at NCYI, in association with Touro College. 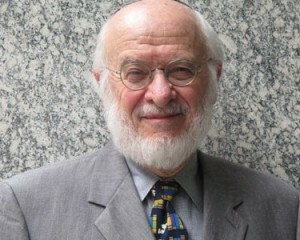 Rabbi Lerner is a founder and senior Rabbinic board member of the Coalition for Jewish Values. 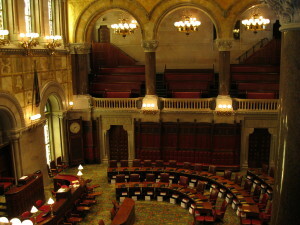 Leon traveled to Albany for the last session of the Assembly in the State Capitol. Leon and other advocates continue to fight for a Tax Credit for parents of children in parochial schools. Despite New York Governor Andrew Cuomo coming to the community and hearing concerns, the much needed tax credit was not given. Guests include Senator Catherine Young (R, C, IP ) 57th Senate District), Senator Martin J. Golden ( R, C, IP ) 22nd Senate District), Senator John J. Flanagan ( R, C, IP ) 2nd Senate District), Senator Elaine Phillips ( R ) 7th Senate District) and Assemblyman Walter Mosley (District 57). 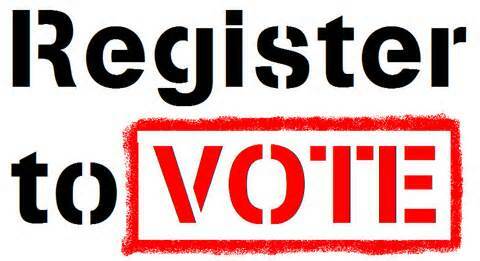 * We need more people to get involved. Without that we can’t get the financial help we need. 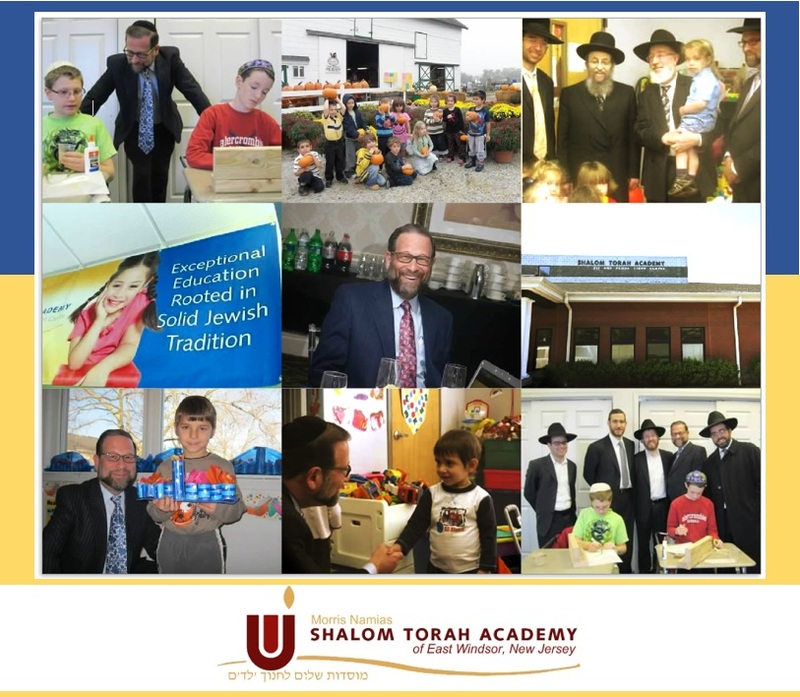 This weeks guests include Avromi Leader, Board Member, who is part of the founding family of Shalom Torah Centers and Rabbi Nachman Greenwald, Executive Director Shalom Torah Centers. Discussion pertaining to the founding of Shalom Torah Centers. Plus, information and stories on the creation of the communities around the school. Plus, the development of local Jewish businesses by the parents. Parents of STC students created the first kosher pizzeria and restaurants in the area. 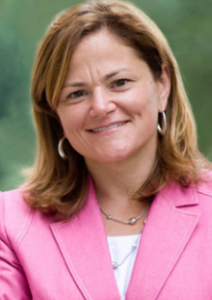 Encore presentation of a previous radio segment with NYC Council Speaker Melissa Mark Viverito. Discussion pertaining to multiple topics. Plus, discussion on engaging young people with the Summer Youth Program and teaching them useful tools for their future. Dr. Steven Cohen serves as president of the Association for the Social Scientific Study of Jewry. Guest Dr. Steven M. Cohen is the Research Professor of Jewish Social Policy at Hebrew Union College – Jewish Institute of Religion (HUC-JIR). 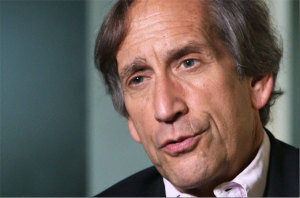 He is also the Director of the Berman Jewish Policy Archive @ Stanford University. In 1992 he made aliyah, and taught at The Hebrew University, having previously taught at Queens College, Yale, and JTS. He has written hundreds of scholarly articles and policy-related reports, as well as a dozen books. 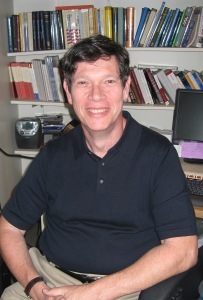 His insights and commentary are included in many articles across a span of publications. 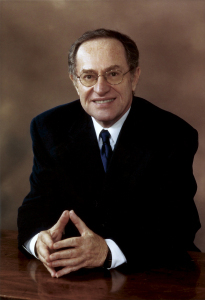 Alan Dershowitz is a renowned lawyer, author and advocate for Israel. 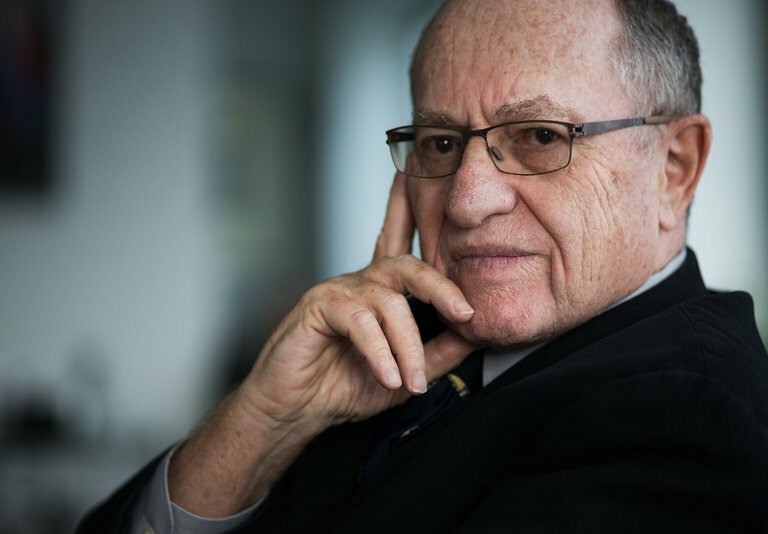 Guest Alan Dershowitz an American lawyer, jurist, and author. He is a prominent scholar on United States constitutional law and criminal law, and a leading defender of civil liberties. On this show Mr. Dershowitz and host Leon Goldenberg discuss important topics. Additionally, specific points about President Donald Trump’s first International Trip, which included Israel and Saudi Arabia, was reflected on. * Our hearts go out for the people of Manchester. Encore presentation of show with Lieutenant Governor Kathy Hochul. Hochul is the 77th Lieutenant Governor of the State of New York and was elected with Governor Andrew M. Cuomo on November 4, 2014. 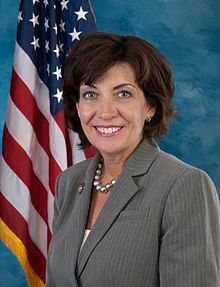 From 2011 to 2013, then Congresswoman Kathy Hochul served in the House of Representatives from New York’s 26th Congressional District. Prior to her time in Congress, Hochul was the highest-ranking female elected official in Erie County while serving as County Clerk from 2007 to 2011. Guest Yeruchim Silber [@Ysilber] is the Director of New York Government Relations at Agudath Israel of America. Guest Yaakov Katz, Editor of the Jerusalem Post. Discussion includes topics such as Mahmoud Abba’s visit with Preisdent Trump and what it means to Israel. Plus, Hamas’ new character and is it really new? Guest Dr. Marvin Schick joins the show. Dr. Schick has been the President of Rabbi Jacob Joseph (RJJ) for 50 years. 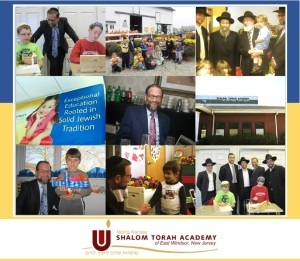 RJJ is the oldest and first Yeshiva in America. 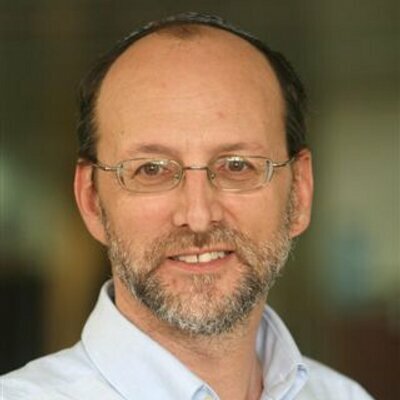 He is also Senior Advisor for the Avi Chai Foundation – a Jewish Education foundation. Discussion regarding Judaism in America; it’s history as well as points on where it has come from and where it is. Guests Rabbi Antony Gordon and Richard Horowitz. Antony Gordon is a Sir Abe Bailey Fellow (1988), Fulbright Scholar (1989) and graduate of the Harvard Law School (1990). Antony has spent most of his career in the high end of the Financial Services Industry at UBS and Morgan Stanley before launching Stealth Capital Management, LLC, and a boutique wealth management firm. 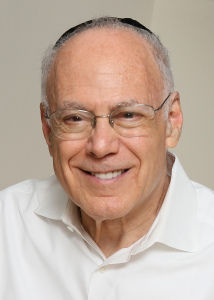 Richard Horowitz is well known philanthropist and is very active with a number of Jewish nonprofit organizations including holding the position of President of Aish Hatorah International as well as Vice President of the Association for Jewish Outreach Professionals. Guest Host Chaskel Bennett welcomes guest Malcolm Hoenlein. 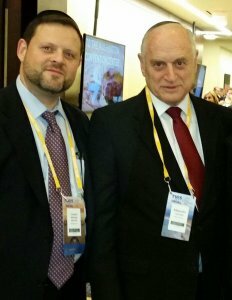 Mr. Hoenlein has been the executive vice chairman of the Conference of Presidents of Major American Jewish Organizations since June 1986. Brief discussion regarding political happenings” including the Supreme Court Justice appointment. Primary discussion regarding Syria ‘Gasing’ and overall Crisis, International standing on current conflict and more. 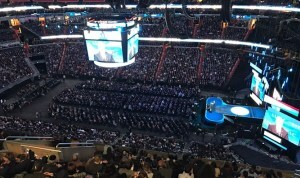 REPORT & RECAP OF THE 2017 AIPAC POLICY CONFERENCE with CHASKEL BENNETT, Political Activist and Community Advocate. 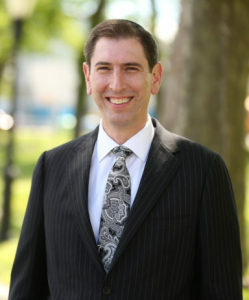 Aaron David Miller is an American Middle East analyst, author, and negotiator. Guest Aaron David Miller joins the show. Aaron David Miller is an American Middle East analyst, author, and negotiator. He is currently Vice President for New Initiatives at the Woodrow Wilson International Center for Scholars. Host Leon Goldenberg with guest host by Chaskel Bennett. Mission Trip to Washington D.C. Discussion pertaining to Education and Israel. Points: Meetings with politicians including Marco Rubio, Nikki Haley, Minority Whip and more to discussed Israel. Topics include: Rise in Anti-Semitism, BDS, joint partisanship petition signed by 100 Senators who demand more funding be put into protected the Jewish Community. 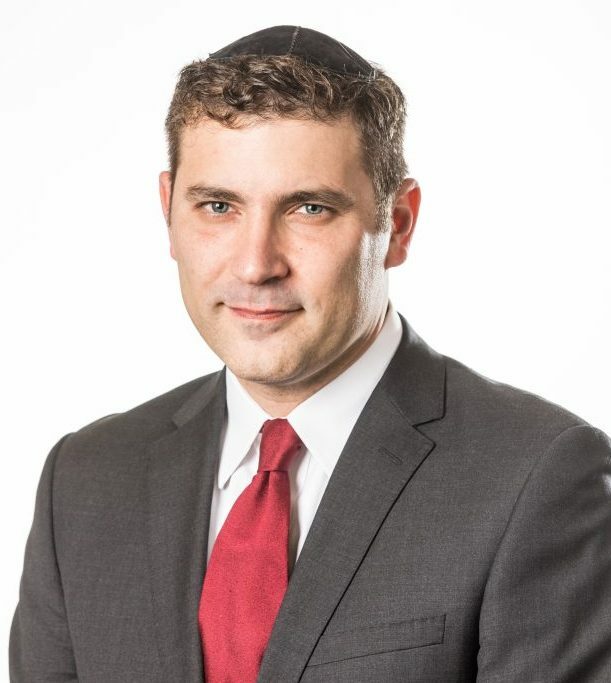 Guest Yeruchim Silber [ @Ysilber ] is the Director of New York Government Relations at Agudath Israel of America. 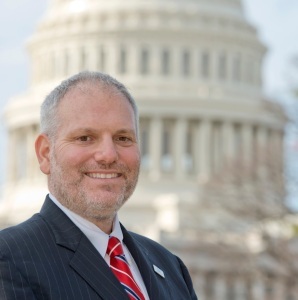 Guest William Daroff is the Senior VP for Public Policy in the DC office of the UJA. Discussion rewarding the impact of agencies such as UJA-Federation and others. Examples of how these organizations can help and do. Discussion also goes over a bevy of topics such as rise in antisemitism (JCC Threats, Cemetery Desecration) and more. Discussion regarding the annual COJO Legislative breakfast. This years breakfast was held at Kol Yaakov in Brooklyn, New York. 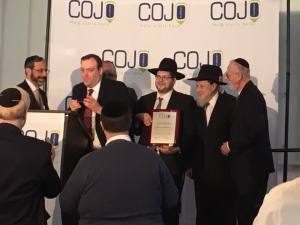 Honorees included: NYC Council member Chaim Deutsch, Rabbi Simcha Silverstein (Lenox Hill) and more. Notable attendees included NY Senator Charles Schumer, NY Assembly member Pamela Harris, NY Assembly member Rodneyse Bichotte, NYC Councilman Mathieu Eugene, City Comptroller Scott Stringer, District Leader Ari Kagan, community activist Chaskel Bennett and more. This week’s guest is AWARD WINNING Journalist, DAVID HOROVITZ. Discussion weighs in on Trump, Bibi, the UN and Nikki Haley. Guest Shimon Mercer Wood is the Consul for Media Affairs at the Consulate General of Israel in New York. Introduction to the guest and family history in consul and political matters. Discussion regarding his background, experience in dealing with important topics and how they are relayed by the media. Current event discussion also goes over a variety of topics on this show. Guests include Chaskel Bennett (Political and Community Activist) and Jake Turx (Senior White House Correspondent and Washinton Bureau Chief for Ami Magazine). Discussion pertaining to the confirmation of Betsy Devos and the State of Politics in Washington, D.C. Guest, Nathan Lewin of Lewin & Lewin, LLP. Guest, Nathan Lewin of Lewin and Lewin, LLP. Discussion pertains to topic of choosing the newest Supreme Court Justice. Details on what to expect in regards to the hearings and confirmation process. 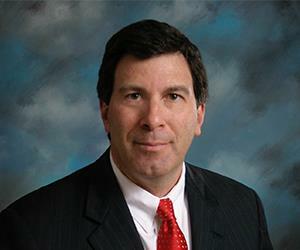 About the guest: Nathan Lewin has engaged in trial and appellate litigation in federal and state courts for 45 years. While he was an Assistant to the Solicitor General in the Department of Justice under Solicitors General Archibald Cox and Thurgood Marshall, he argued 12 cases before the Supreme Court for the United States. Since entering private practice he has argued in the Supreme Court another 16 times, for a total of 28 arguments in the Supreme Court. This week’s guest, Dani Dayan, who is the Consul General of Israel in New York. He works to garner support for the State of Israel. 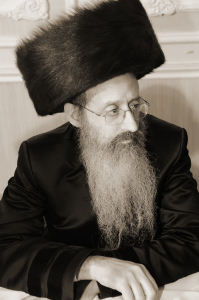 He is also the former Chairman of Jewish Communities in Judea and Samaria. 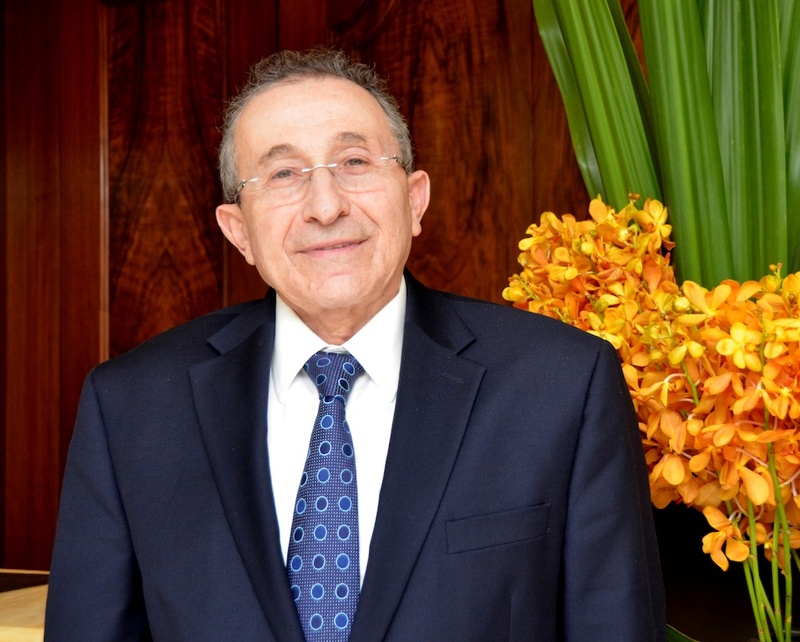 Guest, Rabbi Marvin Hier is the Founder and Dean Simon Wiesenthal Center Museum of Tolerance in Los Angeles. Click here to view Full Bio on official website of the Simon Wiesenthal Center. This broadcast’s discussion focuses on Europe in the new year. Additionally, discussion pertaining to Rabbi Hier’s new book “Meant to Be,” of which begins to be distributed worldwide Feb. 1, 2017.